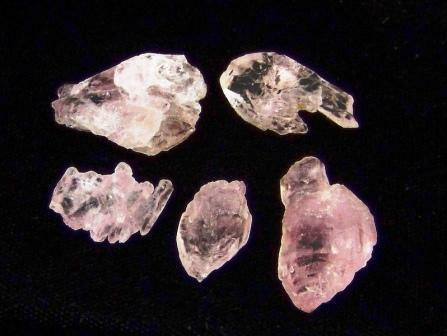 Rose Quartz Crystals (set of 5). Sizes vary: 9/16" to 15/16". Total Wt. : 10.5 grams.